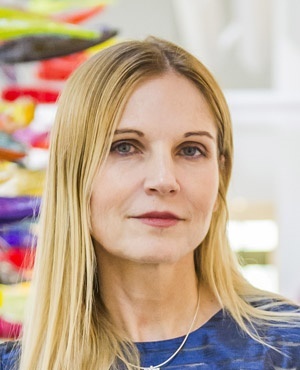 Financial services group Sygnia [JSE:SYG], with CEO Magda Wierzycka at the helm, announced its reviewed condensed consolidated financial statements for the six months ended 31 March 2018 in a note to shareholders on Friday. Wierzycka has been outspoken about state-capture and private sector corruption in SA and recently lambasted the JSE, accusing it of “weak governance” which have led to financial losses by investors. The group incurred a loss on invested capital during the period under review. It says the loss was a result of volatile markets during the period as well as a strong appreciation in the rand, which resulted in a loss on the high proportion of rand-hedged investments held. This investment loss had an impact on overall group profitability. "We have spent the past six months actively researching a number of new strategic initiatives that will position Sygnia for the evolving digital future, as well as help its new business development and distribution efforts," the group says in its statement. The group reported that it had assets under management and administration (AUM) of R180.6bn as at 31 March 2018 compared to R158.9bn in 2017. This is an increase of 14%. Institutional assets secured, but not yet reflected in AUM, amount to R14.2bn. Over the same period revenue increased by 41% to R207.3m and operating profit before tax and finance charges increased by 33% to R65m compared to the interim period in 2017. Profit after tax was up 8% to R37m. Headline earnings per share was 25.34 cents compared to 26.23c over the same period in 2017, while diluted headline earnings per share was 24.72c compared to the 2017 25.40c. A total dividend per share of 25c was declared for the interim period, the same as last year. The group says in its statement that the past six months have been characterised by a difficult trading environment for cyclical businesses. Highly volatile market conditions combined with a strong rand led to near flat returns for investors. The JSE All-share Index delivered a return of 1.0%; the JSE All Bond Index 10.5%; and the JSE SA Listed Property Index 12.9%, while the rand strengthened by 12.7% relative to the US dollar, leading to negative returns from international investments. "Despite the difficult market conditions, Sygnia’s operational performance has remained strong, with net operating profit for the period (before tax, finance charges and investment income) up 104.9%," the group said. Sygnia said it has also placed a focus on managing expenses relative to revenue, with revenue up 40.6% and expenses up 21.1%. Sygnia says it is the largest manager of exchange traded funds (ETFs) listed on the JSE, with AUM of R15.8bn as at 31 March 2018. The group has expanded its product range in the past six months by launching additional international ETFs. A new range of institutional products has also been launched to take into account the varied needs of retirement fund clients. Sygnia’s retail AUM has grown to R24.1bn as at 31 March 2018 compared to R11.6bn in 2017, with assets on the Linked Investment Service Provider (LISP) platform increasing to R7.3bn from R6bn in 2017. The number of clients on the platform increased from 7 138 to 12 403 over the same period. By early afternoon trade on Friday Sygnia's share price was flat on R11 per share.